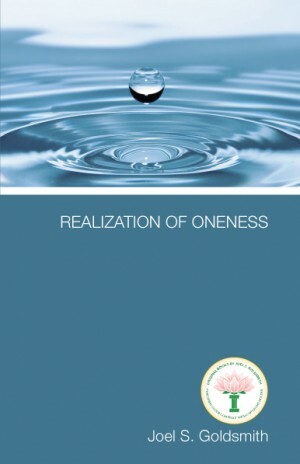 Realization of Oneness - Acropolis Books Inc. Ever since Jesus declared, “I and the Father are one,” the spiritual idea of oneness has been a theme favored by every teacher of mystical wisdom. Realization of Oneness clearly presents specific principles to help the seeker remove every barrier to the experience of oneness and unlock the door to a life of fulfillment. Key to the realization of oneness is the Infinite Way principle set forth in the chapter “No And.” Here Goldsmith explains that we are dealing only with two things. One is the truth of God manifesting Itself, expressing infinite harmonies. The other is the appearance, suggestion, or claim of a selfhood and universe apart from God, which manifests as error in many forms – sin, disease, death, lack and limitation of all kinds. By seeing through the appearance, Goldsmith says, harmony is revealed. As we get still, quiet the senses, and let spiritual awareness reveal the truth of Being, we come to a state where we can rest in Oneness. We can experience the Christ Consciousness that allows us to see rightly and to realize the unlimited, infinite magnificence of the true identity of every individual. Since the realization of oneness is essential to the practice of spiritual healing, Realization of Oneness also serves as a definitive and practical work on spiritual healing. Goldsmith clearly lays out the principles of spiritual healing and shows how they can be applied in every area of human experience.